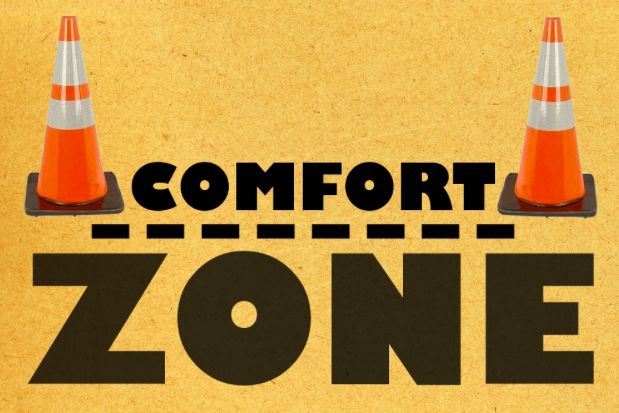 Sometimes we have to do things that take us way out of our comfort zones – whether it is related to our personal lives, fitness, work, or any other area of our lives it is necessary to push ourselves occasionally. 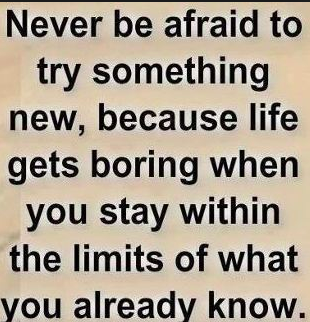 I feel like almost every day since August 27, 2013 I have had to push out of my comfort zone. (That is the day we bought a business.) 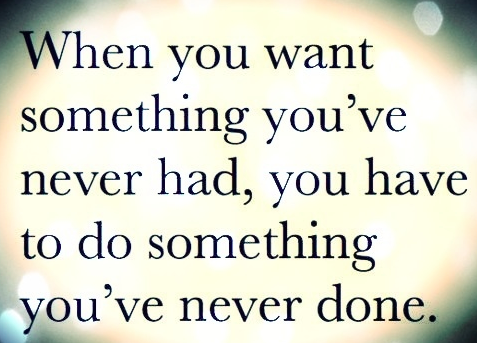 I knew nothing about owning a business so my life has been all about a learning curve! So, in the past few months I’ve been trying lots of new things – some of those things work and others aren’t great – some have been total busts. Saturday, I tried something and feel like it was pretty much an epic fail!!! Thankfully the only thing I lost was my time (over 10 hours) and I learned a few things in the process. I think that the idea is good – I just need to spend some time doing a little more prep work and figuring out the best way to promote the event so I’m not going to give up – just find a new way!!! As much as I don’t like to fail, I know that it is part of life. We have to be willing to learn and grow from our mistakes and not being willing to put ourselves out there is worse than trying and failing!!! 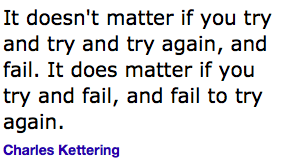 So I will just keep trying and let each failure get me a little closer to being successful. I’m hoping that the lessons I learned during my last attempt at a 50 mile race will pay off in just under 4 weeks when I am competing in another 50!!! 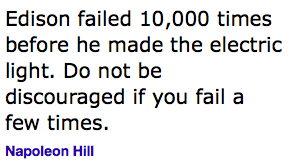 Have you had an failures that learned from and turned into a great experience? Previous PostPlanks, Planks and more Planks (4/6-4/12)Next PostTrusting or Naive?